The Bearkats topped the divisions and took home a championship trophy and banner in Division l Jazz and Team Performance. The wins marked the first time in Sam Houston history that Orange Pride has claimed two NDA National Championship titles in one day. 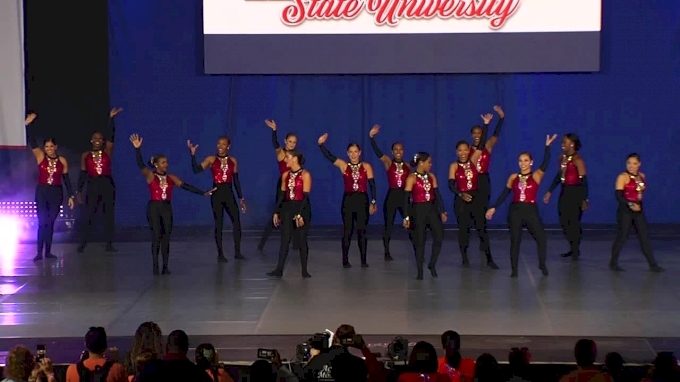 In Jazz, the Bearkats were trailing behind in third place after their Day 1 performance but they stayed focused and turned up the energy while executing their skills with flawless technique to come back and take the title. Team Performance is one of the hardest divisions at the championship as it forces teams to be versatile and technically strong. Dancers have to execute Jazz, Hip Hop and Pom sections that flow seamlessly from one to the next throughout the routine.